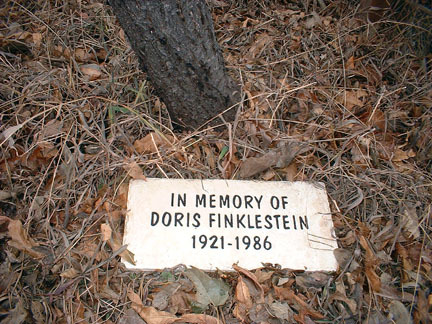 Installing our lightweight plaques and blocks horizontally or vertically is fast and easy with construction adhesive or epoxy mortar. Step-by-step do-it-yourself instructions for setting your new Namestone in the ground or on a wall. We also send out a copy of these instructions with every order. NOTE: Pictured below are 4 options. However, there are other attachment methods as well. The important thing is NOT to attempt to drill through the stone, as hidden occulations and fissures could cause it to crack. 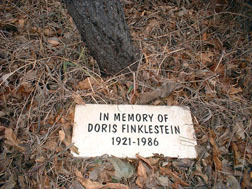 Mechanical attachments can be used to hold plaques and blocks to a wall, similar to installing a mirror. Set 4 clips fashioned into Z-shapes from galvanized(non-rusting) metal around the stone, and anchor the clips to the wall with lag bolts. 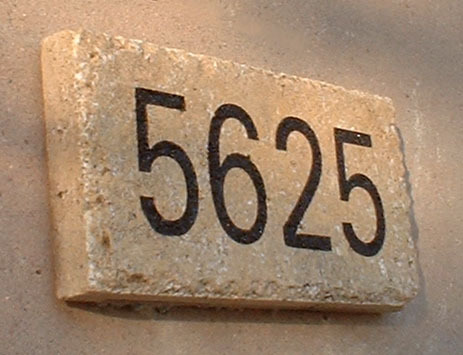 For horizontal installation, Namestones can be set into driveways, stepping stones or benches. However, the engraving is not designed for sitting on, foot or auto traffic as the sealer will wear off the stone and the engraving would deteriorate. 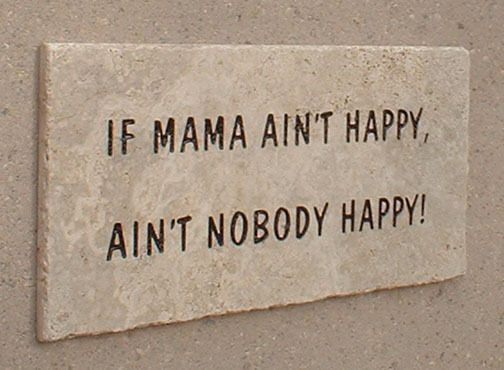 HORIZONTAL OPTION 1- Just set plaque on ground or in a sand bed. Set at slight angle to allow drainage. 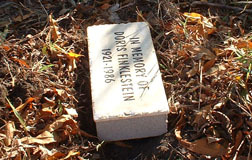 HORIZONTAL OPTION 2- Attach plaque to a 8" x 16" x 4" concrete block as a footing with construction adhesive, dig a hole, and set in. Tools needed: construction adhesive kit, 8" x 16" x 4" concrete block, shovel. 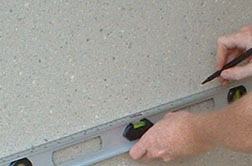 8" x 16" x 4" is a standard size for concrete blocks, which are available at any hardware store. Plaques can also be set into poured concrete footings. Set at slight angle to allow drainage. 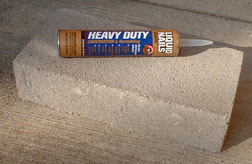 VERTICAL OPTION 3- Attachment to a masonry wall with construction adhesive. 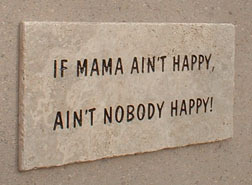 This option will work with our 1/2" thick plaques and blocks. 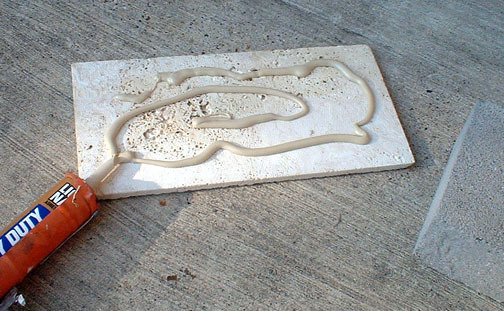 Construction adhesive remains flexible so this may be the best option if you want to remove a plaque later and move it to a new location. 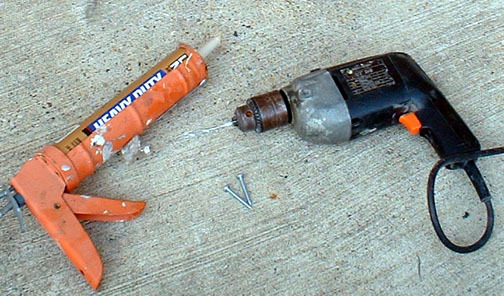 Tools needed: construction adhesive kit, drill with 1/4" masonry drill bit, (2) 1 1/4" #10 screws to use as temporary retaining screws, level. 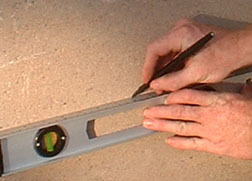 Use level to mark 2 holes about 8" apart. 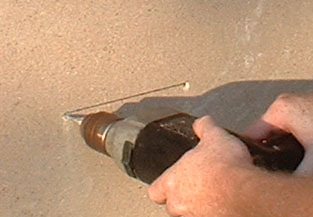 Drill 2 holes about 3/4" deep and insert screws(holes will be bigger than screws, so screws can "wiggle"). 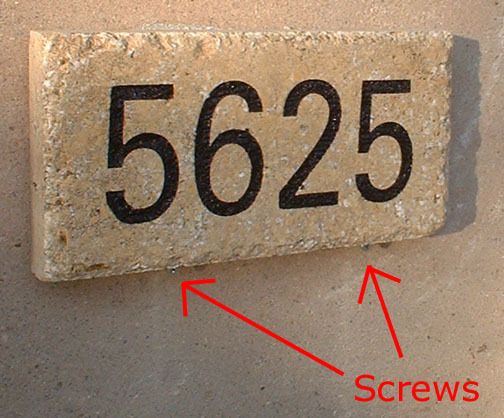 Apply construction adhesive to back of plaque and set plaque on top of screws(screws will carry weight load of plaque while the adhesive sets). 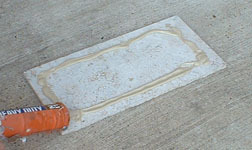 Toggle screws and use level to make final leveling of plaque. Let set for about a day, remove screws and you're done! 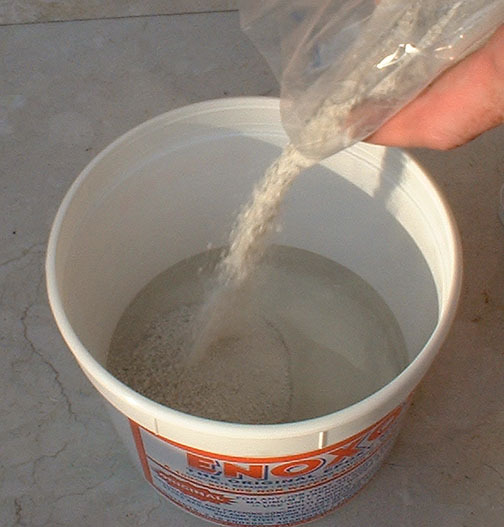 VERTICAL OPTION 4- Attachment to a masonry wall with epoxy mortar, similar to option 3. 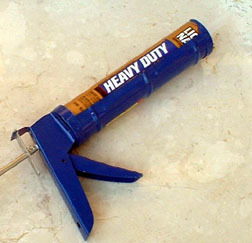 This is the best permanent attachment of plaques or blocks to masonry walls. Epoxy mortar can also bond plaques and blocks to wood or metal as well. NOTE: 1 1/2" thick Address Block shown in picture is no longer sold- all Address Blocks are now 1/2" thick. 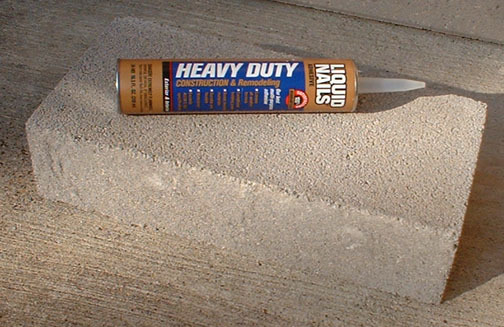 Tools needed: epoxy mortar kit, drill with 1/4" masonry drill bit, (2) 1 1/4" #10 screws to use as temporary retaining screws, level. First use a level to mark 2 holes. 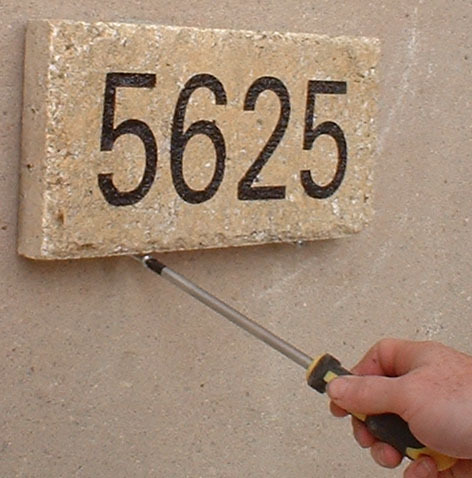 Then drill 2 holes with 1/4" masonry drill bit as in option 3(8" apart for plaques, 4" apart for blocks), and insert retaining screws. 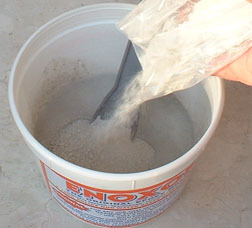 Next mix the epoxy mortar. Everything has been pre-measured. 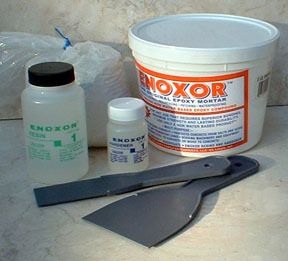 Bucket, resin, hardener, bag of aggregates, mixing trowel and spreading trowel are all included in kit. First dump the Resin and Hardener into the bucket provided. 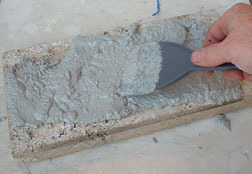 Then add 1/2 of the aggregates and mix using the smaller mixing trowel. Add in the rest of the bag of aggregates and mix again. After mixing, you have about 15-30 minutes before the mix starts setting. 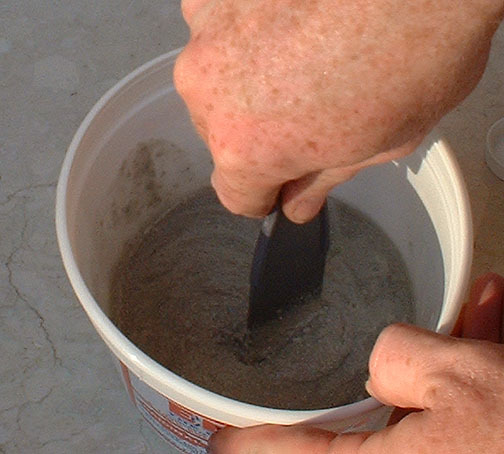 Use the bigger spreading trowel to apply mixed mortar to the stone 1/4"-1/2" thick. One kit is good for 2 blocks or 1 plaque. If you are installing a block as shown, you should have about half of the mortar mix left over in the bucket. 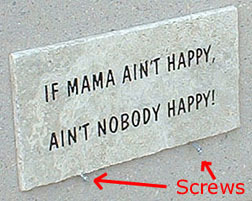 Set stone on top of weight-load carrying screws as in option 3. Toggle screws and use level to make final leveling of plaque/block.